Differential pressure – explained simply! Monitoring differential pressure is important in many production processes and vital in medical facilities including operating theaters. It is also essential wherever small differ-ences in pressure can have a significant effect, for example in cleanrooms for the production of sensitive electronic components laboratories as well as applications in research and development; also in the HVAC sector. 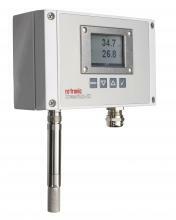 Rotronic manufactures transmitters with analogue and digital outputs and cleanroom panels together with a range of accessories for the measurement of differential pressure. The Laténium in Neuchâtel stores more than half a million artefacts from the Neanderthal era to the Renaissance. The worst enemy of all these ancient relics: variations in air humidity and temperature! 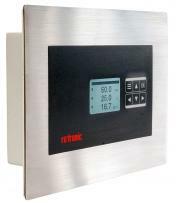 The museum, which is not air-conditioned, therefore relies on the RMS Rotronic Monitoring System. It keeps all glass cabinets, exhibition rooms and storage areas under control and allows all data wanted to be retrieved centrally at any time. 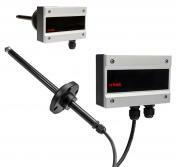 Rotronic has enhanced its temperature measurement device portfolio. With the latest handheld instruments (TP31 series) you can precisely measure surface, liquid and core temperatures conveniently and precisely. With the infrared thermometer with dual lasers and the folding thermometer with its rugged immersion/insertion probe you can meet the requirements of increasing regulation in the food and other industries. 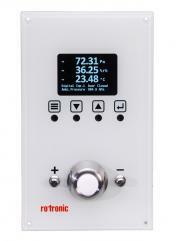 With their convenient features and ease of use the new temperature handhelds from Rotronic are suitable for many varied applications. The AF1 series has successfully been introduced to the market as an inexpensive, high-precision and stable measurement transmitter series for monitoring air velocity and temperature. With the latest model, the measuring range and the output signal can be adjusted easily using the integrated DIP switch and configured via Modbus RTU communication. The AF1 can be easily integrated on a digital network. Rotronic is proud to announce the launch of the HygroGen2-XL reference generator, compared with the ground breaking portable HygroGen2-S model, it has a chamber volume that is 10 times larger. With AwTherm, ROTRONIC offers a professional, high-end laboratory unit for temperature-stabilized measurement of water activity in the foodstuffs, cosmetics, pharmaceutical and other industries. Switzerland has around a dozen duty-free warehouses. These warehouses are transit zones for the storage of goods, whose main advantages are the temporary suspension of customs law and taxes. They benefit not only from a location in the heart of Europe, but also from legal and political stability. The company Ports Francs et Entrepôts de Genève SA, in which the Canton of Geneva holds an 87% interest, is domiciled in La Praille, where it manages a floor space of 150 000 m² , half of which under the Swiss customs regime (duty-free). The company also maintains storage space (10 000 m²) in the cargo hangar at the international import in Geneva. 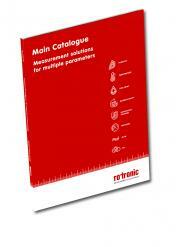 On almost 200 freshly printed pages you will find products and solutions for measuring various Parameters. The new Clean Room Panel is fitted with a diaphragm sensor and validated according to GMP directives. 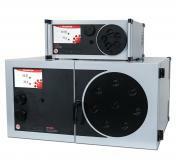 Its well thought-out design makes the CRP5 perfect for applications in laboratories and clean rooms. 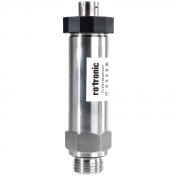 Rotronic is introducing inexpensive, high-precision and stable measurement transmitters for recording air velocity onto the market in the form of the new AF1 series. With the flow parameter, Rotronic AG is adding another measurement parameter to its product portfo-lio; true to the motto of offering customers an ever-increasing range of technologically outstanding measurement solutions. 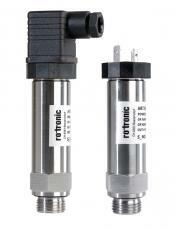 Continuously enhancing the product range to meet customer’s needs Rotronic also offers solutions for measuring the parameter pressure. 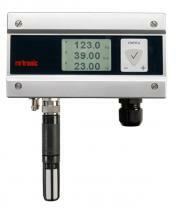 The first member of the product series, BF2, is the process pressure transmitter BF220. 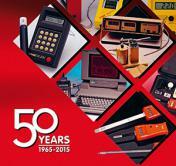 Founded 14th July 1965, Rotronic is celebrating its 50th anniversary and looking back to a successful half century. 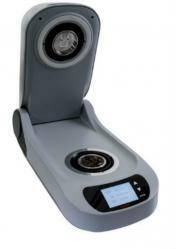 Low dew point probe: reliable measurement of trace moisture. 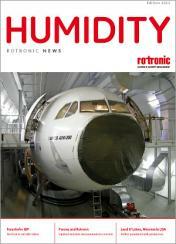 Bassersdorf (Switzerland) – The Swiss manufacturers of precision measurement instruments ROTRONIC has launched a new low dew point probe for precise measurement of temperature and low dew point in pressurised environments. 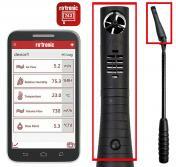 The probe and its accessories are pressure resistant up to 100 bar. The measurement range covers -70…85 °C Td /-40…85 °C. Various directives prescribe cold-chain conditions that need to be met when transporting sensitive freight such as pharmaceuticals, foods, technical products and the like. 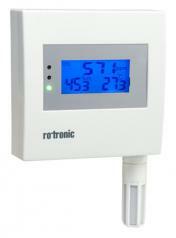 Rotronic’s new temperature logger monitors this simply and reliably. 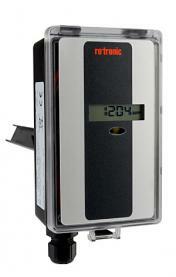 Rotronic has launched a new transmitter for measurement of humidity and temperature in explosive atmospheres. The series is certified to ATEX and IECEx and therefore conforms to the latest international standards (IEC 60079-0/11/18/26/31/7). 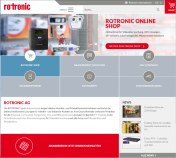 Bassersdorf (Switzerland), July 2014 – The Swiss manufacturers of precision measurement instruments Rotronic has launched a new data logger which not only meets international standards, but also - thanks to its versatility - is suitable for a wide range of applications. New catalogue available now „Measurement Devices for humidity, temperature, CO2 and differential pressure”. As from 1 January 2014, the existing group of companies is being restructured. 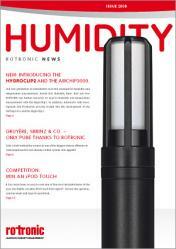 Business will be run partly in the new company, ROTRONIC-SECOMP AG, and also continued as previously in ROTRONIC AG. We show you in just 5 minutes the key features of our monitoring SW HW4. 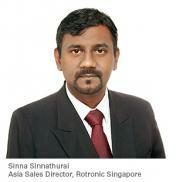 Bassersdorf (Switzerland), 19 August 2013 – Rotronic, with headquarters in Bassersdorf, Switzerland and one of the world’s leading providers of measurement solutions, is opening its tenth subsidiary on 1st of September 2013 in Singapore. With the foundation of Rotronic Singapore, the Rotronic Group is looking to further strengthen their position in this market. Before cheese can develop the right flavor, it must be stored for several months at the right temperature and air humidity. Owing to the high air humidity, not every sensor is suitable for regulating the air conditioning system. Also, the sensors must be calibrated at the right operating point. Quality pasta needs two ingredients – expert preparation of the dough and correct drying. 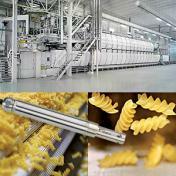 A controlled drying process is vital to ensure the pasta does not crack or become discoloured. 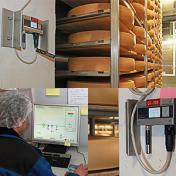 The food-processing machine manufacturer Bühler deploys numerous humidity probes in its equipment to obtain exact measurement results for regulation of the drying climate. Bassersdorf, 20 April 2012 – Water activity in perishable foods and pharmaceutical products has a significant influence on their shelf life and storability. Water activity also has a determining influence on the quality of a product, its stability, taste and aroma. 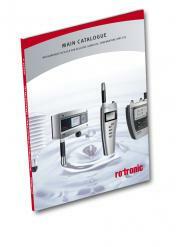 Rotronic offers a complete range of water activity products. 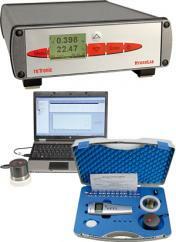 The devices are accurate and characterized by their high efficiency, exchangeability and ease of calibration. 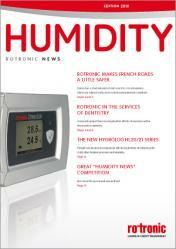 Bassersdorf, February 22, 2012 – Rotronic, one of the world’s leading manufacturers of measuring equipment for temperature and humidity, is expanding its range of products with CO2 transmitters. This solution is the answer to many requests from customers, who can now choose from completely new measuring parameters. The CO2 transmitters raise energy saving efficiency, analyze indoor air, and monitor CO2 levels in underground parking facilities and tunnels. Bassersdorf, 22 February 2012 – Parameters such as humidity, temperature, air pressure, light and acceleration are of central importance in order to obtain meaningful measurement results for industrial and scientific applications. 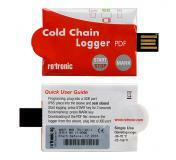 The new all in one LOG-HC2, enables users to measure and save all these parameters simultaneously. 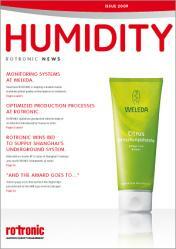 Bassersdorf, December 12, 2011 – The wireless autonomous data loggers from ROTRONIC are suitable for the most diverse humidity and temperature monitoring tasks. RF transmissions save the user wiring costs, and useful data can be recorded quickly and easily where access is severely restricted. 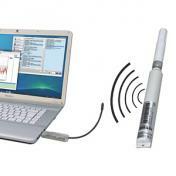 This combination of wireless transmissions and data logger results in maximized failure safety. Bassersdorf, 17. Oktober 2011 – Die Rotronic hat ihren bisherigen - seit 2006 bestehenden Internetauftritt - komplett neu gestaltet. Der Relaunch wurde zusammen mit der Internet Full Service-Agentur INM aus Wetzikon realisiert. Die neue Website wird heute Montag live geschaltet.